Garmin GPSMAP 276C/278 Lithium Ion Battery Pack (010-10517-00) €67.00 - buy online at mysatnav.ie - Ireland's leading GPS & Sat Nav store. 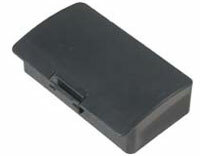 This is a replacement battery pack for the GPSMAP 276c and 278. It is part of the original kit that is shipped with the GPS. It is recommended for longer trips or where it is not always possible to get an external power source.